riiight Brewdog. Albino Squid Assassin. BeerClub beer of the week, and because I’ve been busy it’s a couple of days later than normal, but I’m sure they’ll forgive me. 330ml can of a beer that is 7.4% ABV ,making it 222 calories a serve, and 65 IBU, this would be 1.93 standard drinks of beer. This tentacled terminator packs a punch – ten punches to be precise. Each hop addition adds to the intense layers of depth in this red rye IPA. Toasty caramel & cinder toffee from crystal malts, cacao richness from intensely roasted malt and the spiciness of rye. Zesty pithiness from citra and the robust resin of chinook. This small batch exclusive brew is up-front intensity matched with twisted complexity. 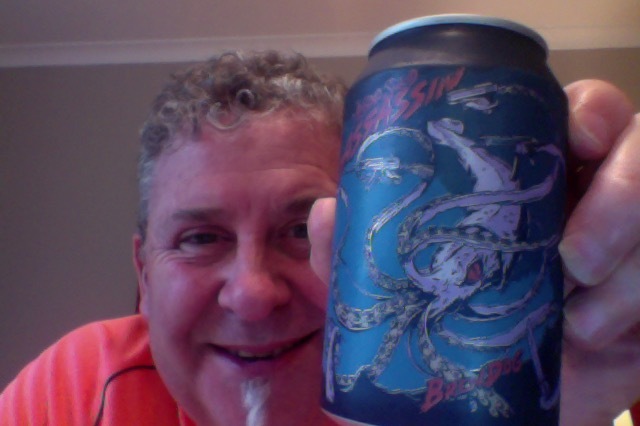 The can features awesome custom art from Joe Wilson. I’ve just been for some exercise and am a bit thirsty, this may end quickly. Quite a strong citrus aroma on opening, like grapefruits citrus. In the glass its a slightly murky muddy brown but the aroma is brilliance , citrusy sugary, rich. I like the flavours this has, it’s quite rich and sugary, but for me that sharp alcohol tang is annoying. I’m picky what can I tell you. It’s not quaffing beer though, more a sipping and pondering thing, and as it warms the sharper things begin to tell through, the pine resin notes for example, they just squash the caramel thing that you just enjoyed. An interesting beer though, mostly the name though, as there isn’t a lot in the beer that is different or quirky. Where did I get it? BeerJerk beer club for this, it might though be in good shops. Would I share with a friend on a porch and set the world to rights? No, aside from the can art there isn’t a lot in this to warrant interrupting a good thing. To be honest it starts with good intentions then meanders down into some weird tantric madness of self indulgence. I have this feeling if I were to sit down with you and have this beer in front of me, I’d likely ask for something else. Just sounds like one of those beers … the sipping kind … that I’m not gonna want to outlast. We’d talk about the art work and cartoons and old marvel comic art work and that, the beer, it;s ok but it’s not different or deserving of a quite wonderful name. As to Sting, there was a couple of brief moments where the Sting from the Police was there, then it kind of wandered off into ear-candle airy-fairy drivel, hardly ‘rock’ and it ended up a rather disappointing mess. 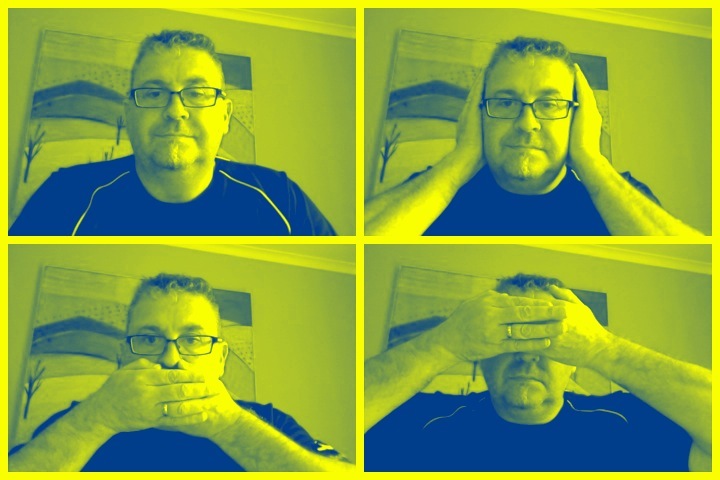 Coming up : Coors Lite and the best of Sting….. said no blogger ever …. Yep … a few Police songs are good, and I can’t possibly top you in how you describe what Sting has done since. Even when I was in college all those years ago, I never sunk to drinking Coors or Budweiser unless I absolutely had to. And the Lite beers? Horrors!! I’ll have to admit, however, to an affinity for Miller Genuine Draft for a year or two before I discovered foreign beers and then Boston Brewing showed up. There is nothing wrong with bulk over substance, occasionally, I’d hate to be ‘that guy’ that doesn’t like a beer because it’s just suds. 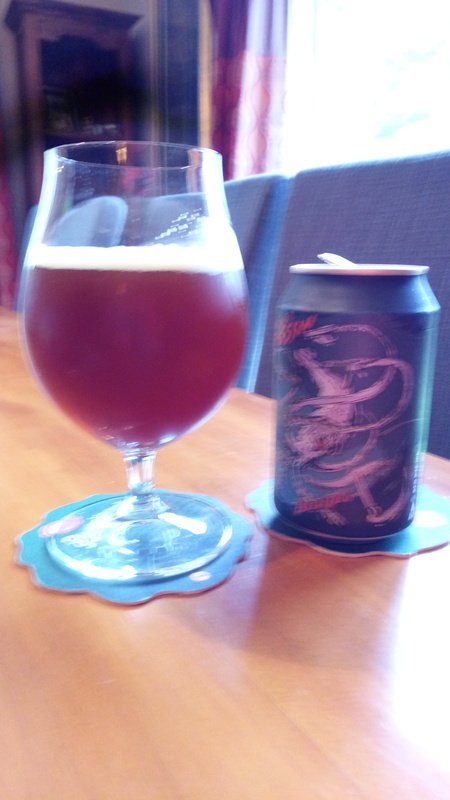 This entry was posted on November 12, 2016 by Philip Walter in Beer, Beer of Scotland, Beer Review, Brewdog, Craft Beer, Critic, Justsaying, Specialty Grain and tagged Aberdeen, Aberdeenshire, Alcohol by volume, Brewdog, Brewdog. Albino Squid Assassin, craft beer, Ellon.